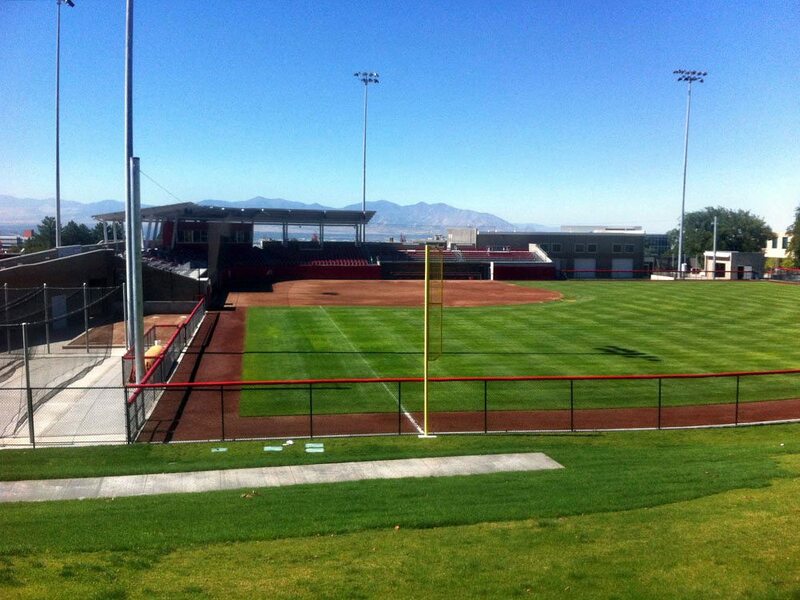 Because of J-U-B’s expertise in sports field design, J-U-B Engineers was invited to provide irrigation design services for the University of Utah Women’s Softball Complex. This facility included a high-quality sand based field, with an under drain system and state of the art irrigation design. J-U-B’s landscape architects worked closely with architects, engineers, and university staff to develop a highly customized irrigation system that will allow for precise control of infield and outfield watering. The system ties into the University’s central control system which allows for remote monitoring of each circuit, automatic shut off when unscheduled flows are detected, and maintenance alerts to staff. Phase I of this project included the playing field and the surrounding landscape in the outfield. Future phases will include dugouts, bull pens, locker rooms, indoor practice facilities, training rooms, lighting, and stadium seating. Phase II includes the balance of the complex, which is currently under construction.